The ST G.Keilwerth range of Saxophones was produced by the other 'half' of the Keilwerth family from the famous Julius Keilwerth name. Gerhard Keilwerth was for some time the President of the J.Keilwerth company but after various ownership changes he branched out alone. Also based in Germany, the G.Keilwerth range is aimed at mid-range and upgrade players. This is an 'as new' demo model which has been displayed at an international trade fair but is otherwise new. These models are equivalent to the Yamaha 480/62 sort of range and would be excellent for a first step-up/upgrade in a clear yellow lacquer finish. 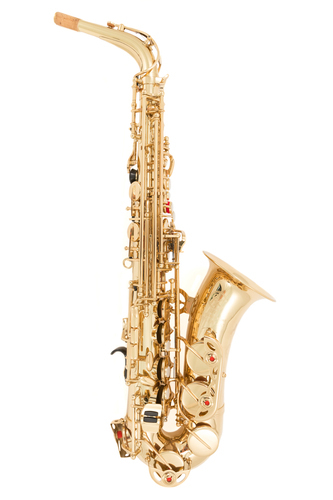 The sax feels great under the hands and due to the bell design and bore shaping this G.Keilwerth ST model is very responsive and fun to play. Our Secondhand Instruments come with 6 months warranty and are fully checked by our on-site workshop.